SInce this is my first freelance job on this site i don't know or not if the client needs to accept my proposal. My current job is under Active Candidacy, doesn't this need to change to a new status like. Job accepted or something before i should start the work? You should never start work on a job unless the client has sent you an offer and you've accepted the offer. You'll also not want to start any work until the client has pre-funded a milestone and the requirements are clear. 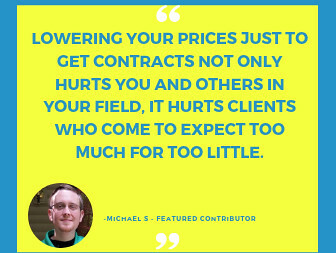 If it's an hourly contract, don't start until you've accepted the offer. 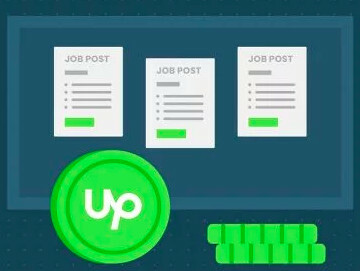 Then you'll just log your time spent on the project through the Upwork time tracker. This project is an pay at the end of the project type of plan. He wants me to complete this in under 21 days and ill get a bonius for it. Can you give me a suggestion on how to deal with this? IM going to talk to him now and tell him he has to send me a n offer and have me accept it so i konw im the only one working on the project. What else should i tell him? 1) This project is an pay at the end of the project type of plan. 2) He wants me to complete this in under 21 days and ill get a bonius for it. 3) Can you give me a suggestion on how to deal with this? 1) That means you need to tell the client to fund the entire (!) amount in Escrow when setting up the contract. 2) Fine, just make sure it is FUNDED and you have an ACTIVE contract on your My Jobs page and the client's payment method is verified. 3) Do not do any work until you were hired. Is the client's payment method verified? I just emailed him and told him the rules for the type of project on UpWork i wanna see what he says now. And yes his payment method is verified. But now that i told him what he needed to do it looks like he blocked my number im starting to not trust him. THis is the second time something like this happened to me. The first time i was almost scammed from someone else posing as another company. Im not going to start the project until he does what you said he is supposed to do. Yeah if it's fixed rate, make sure it's 100% funded and if hourly make sure the client is verified , that you use upworks tracking app to track your hours as you go, make note of what you are doing when you start the clock and that you have good activity levels on your screenshots as you should if you are working. I wish this info was put into a guide for newbies. I'm totally new to freelance work. Just got my first proposal accepted. The client then asked me to get started on his project via the Upwork messaging system, and sent me the excel spreadheet with his instructions. Wish there was a more structured guide to walk us newbie freelancers through once the client and I both agree to a project within the messaging system. I had to search the community on what to do next. Little did I know the client is supposed to send me a formal offer.For some reason, I thought it would be more structured. Perhaps put a bot in the messaging system to recognize when the client and freelancer agree on a proposal. For example, the bot would tell the freelancer to wait until a formal offer is sent (and explain how that is done and give advice on making sure the funds are put into escrow) before starting on the project, and send a reminder to the client to send a formal offer to the freelancer prior to starting so the frelancer can log time and get paid. 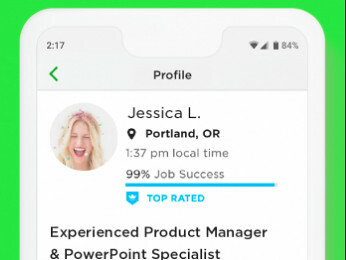 idk I just assume since we are being matched on Upwork, and Upwork gets a cut, that Upwork would make sure each party is fulfilling the requirements on each of their ends.